Seven days tour giving you the glimpse of god's own country. Arrive at Cochin airport/railway station, meet our representative and we will transfer you to Munnar. This beautiful hill station is known for its sprawling tea plantations, tea museum, waterfalls and colonial bungalows. Munnar is situated at a height of approximately 1600 m above sea level and remains covered under mist throughout the year. On arrival in Munnar, check-in at the hotel and enjoy the rest of the day at leisure. Enjoy an overnight stay at the hotel. After breakfast, proceed to Mattupetty dam where you can enjoy boating on the dam reservoir. Check out the Echo Point and Shooting Point where many films are shot. Indulge in shikara boating on Kundala lake. Later, visit the tea museum and Blossom park. Enjoy the scenery from Pothamedu view point before returning to the hotel for overnight stay. After Breakfast, proceed to Thekkady. Along the way, visit Poopara and Vandanmedu. 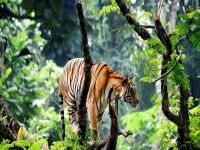 Explore Periyar Wildlife Sanctuary and Anakkara. You have a chance to enjoy boating on Periyar, visit the various plantations nearby and watch the ancient martial art form of Kalaripayattu. Return back to the hotel for overnight stay. After breakfast, Proceed to Kovalam. 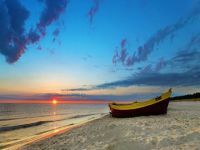 Check-in at hotel and set out to enjoy beach and spend the evening at your leisure. Overnight stay in the hotel. After breakfast, Proceed Kanyakumari. 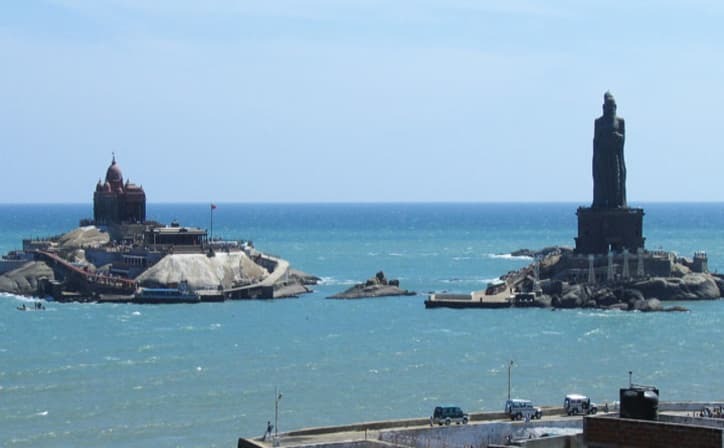 The southernmost tip of India, Kanyakumari is popularly known as 'The Lands End'. 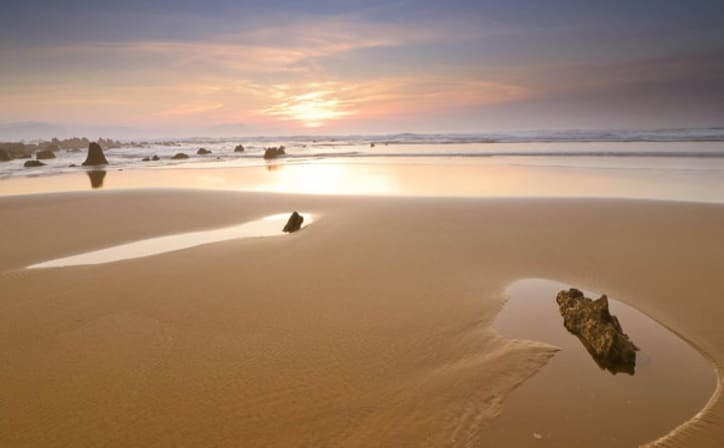 This destination houses several ancient temples and is also dotted with vast beaches. On arrival in Kanyakumari, check-in at the hotel and plan the day for sightseeing. Some of the attractions of this place are the Vivekananda Rock Memorial, Thiruvalluvar Statue, View Tower and Telescope House and Mahatma Gandhi Memorial. Return to the hotel for an overnight stay. After breakfast return to Kovalam. Enjoy the entire day doing leisure activities or spending time at the beach. You can also buy souvenirs from the local shops to gift your loved ones. Retreat to the hotel in the evening and stay overnight. After breakfast, check out from the hotel and we drop you at Trivandrum railway station/airport for your Onward journey. 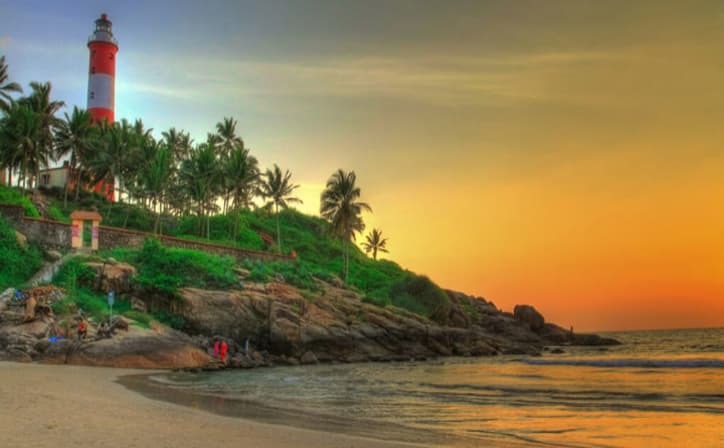 Strewn with rivers, lagoons and meandering backwaters, covered in coconut groves and flanked by sunny, palm fringed beaches, Kerala truly is a small slice of paradise. Exploring fishing villages where colourful boats stand in the harbour against a backdrop of Chinese fishing nets, unwind aboard your private traditional kettuvallam houseboat (a converted rice barge) as you sail through the uniquely quiet backwaters, and discover a world of exotic spices. Munnar is a town in the Western Ghats mountain range in India’s Kerala state. A hill station and former resort for the British Raj elite, it's surrounded by rolling hills dotted with tea plantations established in the late 19th century. The rolling hills around Munnar, South India's largest tea-growing region, are carpeted in emerald-green tea plantations, contoured, clipped and sculpted like ornamental hedges. The low mountain scenery is magnificent – you’re often up above the clouds watching veils of mist clinging to the mountaintops. 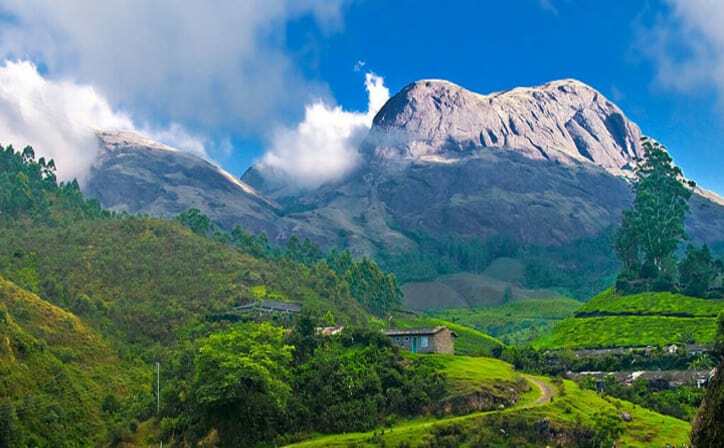 Munnar town itself is a scruffy, traffic-clogged administration centre, not unlike a North Indian hill station, but wander just a few kilometres out of town and you’ll be engulfed in a sea of a thousand shades of green. Kanyakumari is a coastal town in the state of Tamil Nadu on India's southern tip. 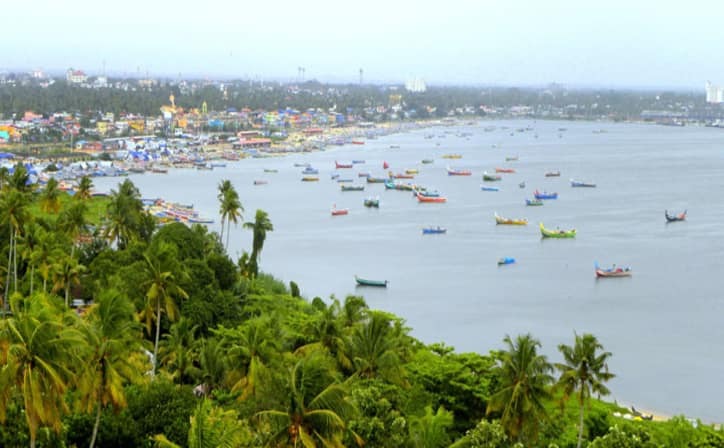 Jutting into the Laccadive Sea, the town was known as Cape Comorin during British rule and is popular for watching sunrise and sunset over the ocean. It's also a noted pilgrimage site thanks to its Bagavathi Amman Temple, dedicated to a consort of Shiva, and its Our Lady of Ransom Church, a center of Indian Catholicism. Thekkady is enchanting as the road winds through tranquill countryside, rich plantations & thick jungles. The sanctuary, 60 km from Idukki, 190 km from Cochin and 114 km away from Kottayam is open throughout the year, but the best season for a visit is from September to March. The sanctuary is centered around the large (24 sq km) artificial lake formed by a dam across the Periyar river. It is one of the famous holiday destinations in India. 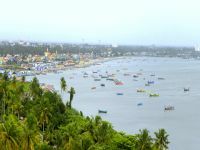 Kochi (also known as Cochin) is a city in southwest India's coastal Kerala state. It has been a port since 1341, when a flood carved out its harbor and opened it to Arab, Chinese and European merchants. Sites reflecting those influences include Fort Kochi, a settlement with tiled colonial bungalows and diverse houses of worship. Cantilevered Chinese fishing nets, typical of Kochi, have been in use for centuries. ○ All transfers and sightseeing as per the itinerary in an air-conditioned vehicle (except in the hills when the air-conditioner will be switched off). ○ Expenses caused by factors beyond our control like rail and flight delays, roadblocks, vehicle mal-functions, political disturbances etc. The Eravikulam National Park shelters the rare Nilgiri Tahr, which is very near to extinction. They are friendly, docile and naturally tamed. Pat them or pose for pictures with them; you'll surely have plenty to brag about back home after meeting them! A pleasant hill station replete with soothing greenery, Devikulam, quit close to Munnar has many tea gardens. Trout anglers may dip their fishing rods in the shimmering waters of Sita Devi Lake and enjoy abarbeque. You can take surfing lessons at Kovalam Surf Club. Professional surfers will teach you how to take on the tides. Kerala is well known for Ayurvedic therapies including refreshing spa and wellness massages. Ayurvedic wellness treatment, and a rejuvenating body massage at various resorts and spa centres are magical ways to relax your mind and body. Choose from Balinese massage, classical deep tissue massage or an authentic shirodhara. ○ Anyone above 11 years of age will be considered as an adult. (Children below 4-years of age will be complimentary). Summer Season from March to May, is hot but not humid, as it is near the tropics. Monsoon season between June and August is the best time to visit Kerala for Ayurveda treatments. The wet and cold climate in monsoon weather is ideal for Ayurveda treatments and rejuvenation programmes. As a tourist, what should i expect in Kerala? Kerala is a paradise in itself; no wonder it is referred to as 'God’s Own Country'. 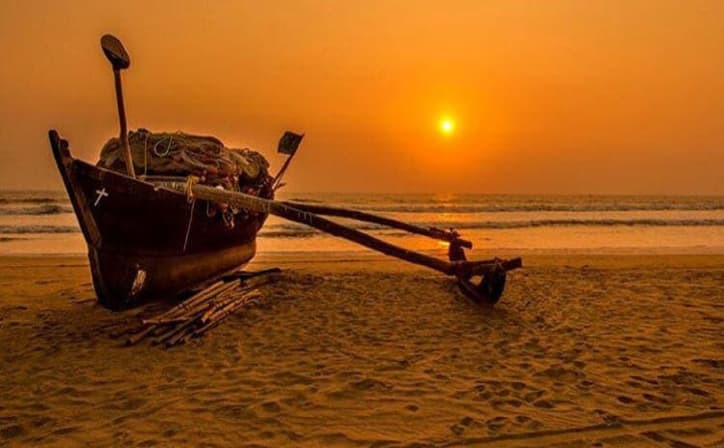 Kerala offers sun kissed beaches, emerald backwaters, idyllic hill stations, exotic wildlife, breathtaking waterfalls, Ayurvedic health spas, enchanting art forms, magical festivals, historical monuments, mouthwatering cuisines, and a whole lot more.